Web Media - Vote For Us! Welcome! Hampton Roads Foot and Ankle Specialists has been working with patients to provide the best podiatric care for patients in the Williamsburg and Hampton areas. Dr. Sara Bouraee's experience in podiatry is coupled with genuine concern for their patients. All our staff is dedicated to your comfort and prompt attention as well. Our goal is to help you maintain healthy feet. 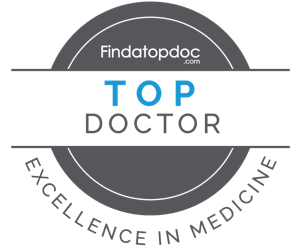 This website provides you with an overview of our practice and the field of podiatry. As you navigate the site, you'll find information about Hampton Roads Foot and Ankle Specialist's practice philosophy, physicians, our Williamsburg and Hampton office locations, insurance policies, and appointment scheduling procedures. Please browse the site at your convenience and feel free to contact us with any questions. You'll find a lot of valuable information on the web site about foot problems, diagnoses and treatments we offer such as bunions, hammertoes, plantar fasciitis, plantar warts, ankle sprains, and more! We believe informed patients are better prepared to make decisions about their health and well-being. We encourage you to review this information to help you understand any health concerns you may face. Dr. Sara Bouraee was born and raised in Brooklyn, New York, and was influenced most in her life by her father who was a vascular surgeon. She attended New York College of Podiatric Medicine in New York and then relocated to Philadelphia to complete her surgical residency at Drexel University College of Medicine at Hahnemann University Hospital.